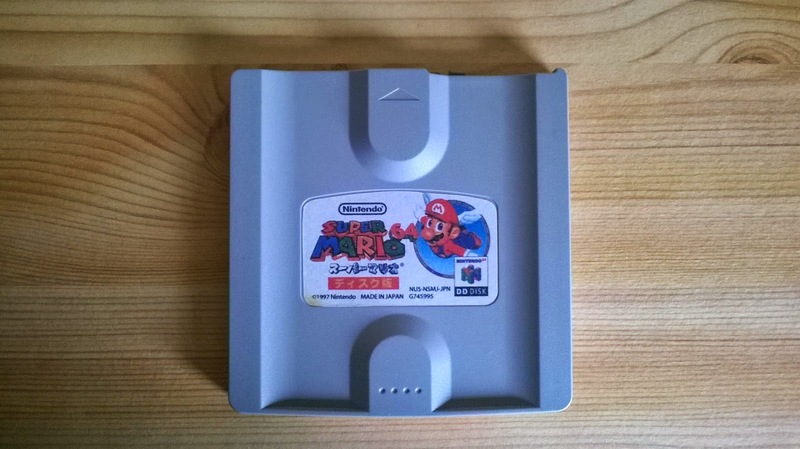 This is a copy of Super Mario 64 Disk Edition for the Nintendo 64DD, the ill-fated disk drive for the N64. This is important because this game is the game collecting equivalent of an albino unicorn. This is something that isn't supposed to exist. Super Mario 64 was never commercially released in this form. It was never announced, hinted at, teased, or anything. Now not only are there photos of this discovery, but there's even gameplay footage. Here, watch this and try not to question your beliefs. WHAT!? UNRELEASED FIRST PARTY MARIO GAMES SURFACING FOR MY FAILED NINTENDO EXPERIMENT?! It's more likely than you think. So far the gameplay seems very similar, if not identical, to the normal cartridge version, but who knows what surprises might lurk in the code. Sadly, the exact story of how this abomination/holy grail came into this collector's hands is a mystery, and it's being kept a mystery by the cart's owner, Jimmy130. The origin may have something to do with this photo that surfaced in late 2013. OR WE CAN GO DEEPER. All the way back to Nintendo's Space World 1996, where this game was actually being shown played. I had no idea this was a thing, and it seems to have been developed as just a tech demo for showing off what the N64DD was capable of. I would put money on this copy of the game originating from that expo, but I have no idea where it has been for the last eight years. Currently, Jimmy is doing his best to document the game and its interesting features here, on his blog. Collectors are obviously freaking out. I wouldn't put a price on piece so unique, but I would love to see it put out on an open auction, just to see how many thousands of dollars it would sell for. The emergence of this game has elicited many cries of fake and fraud; even I am unconvinced that this is 100% the real deal. I would very much like to hear the whole story before I give in to the hype. 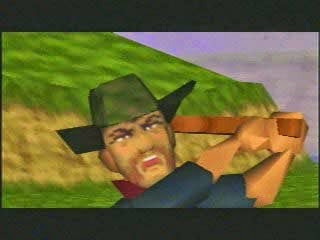 This discovery should also give some other fandoms hope that maybe there are some other unreleased N64DD games out there waiting to be uncovered. This is pretty awesome. I just hope it has more differences than the commercial release. Maybe Mother 3 DD and Conker 12 Tales shows up next. Still waiting for Dragon Hopper VB. Definitely fake. 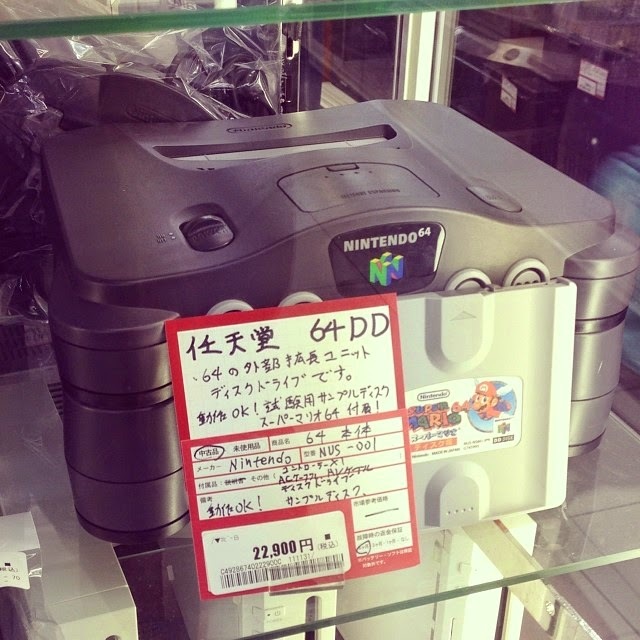 The guy forgot to switch the ID code from NUS to NUD to indicate a 64DD game. Also, the retail looking label was a bad idea too. Wow. Definitely didn't see that. Great Catch.